Do you need favours for a party or wedding? 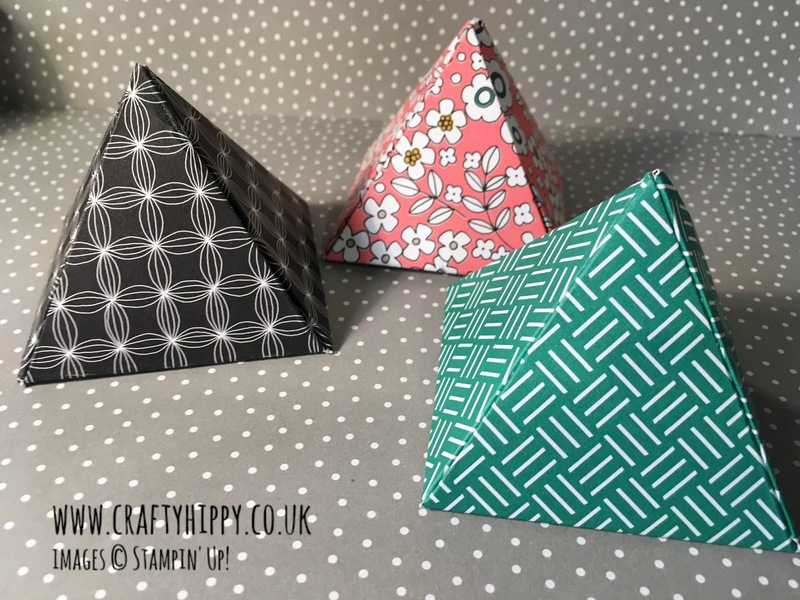 Look no further than these gorgeous, easy to make Pyramid Favours, they are SO simple to create. All you need is some patterned paper, some adhesive, and a ruler and pen or pencil. A scoreboard makes life a bit easier, but is optional. Follow the step-by-step instructions below to make your pyramid favours. You can fill these lovely favours with sweets, hair bands, erasers or any other small gifts. You can create them in Christmas paper for your Christmas dinner table. Create them in whites, ivories or vanilla for weddings, or in fun and bright paper for children's parties. Or, you could create really large, ornate home decor pyramids for a sideboard or table, nestled amongst framed family pictures. The possibilities are endless. 1. Draw a square - this is the base of your pyramid, and denotes how big your favours will be, and therefore how much they can hold. 2. 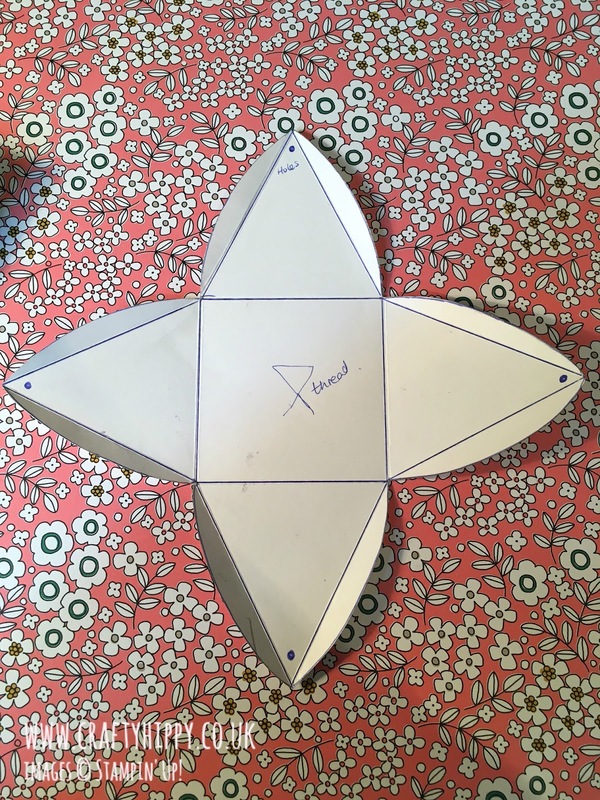 Draw triangles eminating from each side of your square. The easiest way to do this, to get the angle of your triangles right, is to draw four more squares around the sides of your original square. Mark a point at each outer edge in the middle, and then draw diagonal lines from each corner of the original square out to form triangles. 3. 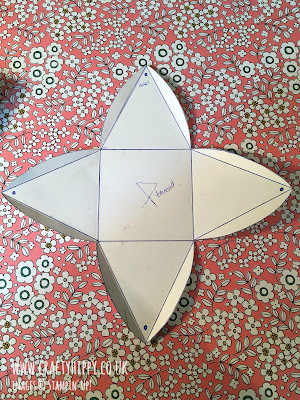 Draw a curved lip or tab to the side of each triangle. 4. Cut out your template so that it looks like the one below. I used our Pick a Pattern Designer Series Paper which is double-sided and has lots of gorgeous patterns. 5. Score along all lines. I use the Simply Scored scoreboard. 6. Adhere the tabs to each other making a pyramid. I used our Tear & Tape Adhesive which is strong and durable, but you can choose from a selection of adhesives. 7. This is optional but you can place a small pricked hole in the top corner of each triangle and close your favour using a draw-string method. Check out our selection of Ribbon, Thread & Trim. I hope you have a go at this really fun project. Please feel free to email me pictures of your creations, or leave comments in the box below. Whilst I'm here, I'd like to extend my heartfelt thoughts to our American Stampin' Up! Demonstrators who have been experiencing terrible and life-threatening weather this week. Please know that British Demonstrators have had you firmly in our thoughts. Thanks for stopping by, I'll be back with more Stampin' Up! home decor, scrapbooking and card making projects soon.